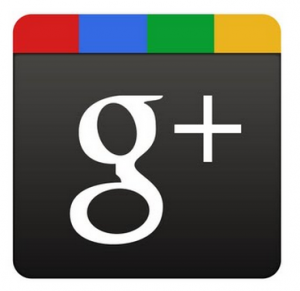 How Google Plus Can Have an Impact on Your Business? Find Out Here. Does Google Plus Matter for Your Business? According to an independent analysis, Google+ adds 625,000 users each day and will have an estimated 400 million members by the end of 2012. It is a social network with an identity system- it gives you not only a personal, but a business profile on the web. All small business owners should be getting on board with Google+ for many reasons if Google SEO and growing your online brand matters. Social media expert Don Campbell is the president of Expand2Web, a business that provides tools and training to help business owners succeed online. He has helped thousands of business owners learn how to build an effective web presence to attract new customers. He recently appeared on James Martellâ€™s podcast, to discuss how Google+ is an essential business tool. Campbell and Martell admit Google+ can seem complicated at first glance, but they break it down to make it much easier for a small business owner to understand why they need to get involved now. 1. Â Itâ€™s another channel for marketing a small business. 2. Â Customers will share their reviews. When you develop a relationship with customers they will share their experiences with their network of friends and family- which brings you additional customers through referrals. People donâ€™t only use search engines to find information- they rely on recommendations. Google+ adds another layer. 3. Â Taking the time to use Google+ sets you apart. Unfortunately there are so many small business owners not utilizing this social media platform. You get to stand out from the crowd. For example, any time you post something it goes out to people in your circles (lists of followers) and also gets indexed by the search engine. That is pretty powerful. 4. Â Google+ is a part of the big picture. If you are a small business owner who has not figured out how to transition into the internet, this is a good way to begin. The internet needs to be part of your business strategy, which will include many things, such as incorporating other social media sites and learning how to make your own website. Think back to the old style of advertising- primarily using local newspapers and the Yellow Pages. You could spend $450 on a small ad and within three days the ad is â€œbeing used for fish wrap,â€ joked Martell, on his Â affiliate marketing podcast Coffee Talk Now everything you do on the internet stays there forever- your impact is permanent.Plus you can measure the results, something that was difficult to do before. In the past the best way to see the impact of your marketing dollars was to keep track of coupon redemption. Now, there are so many tools to help you quantify your efforts and keep on top of your strategy. You can modify your strategy and even switch gears easily, based on the results. With all social media sites- Twitter, Facebook, Google+- once you get your system setup, it continues to work for you. The â€˜hard workâ€™ is the set up. Maintaining becomes part of your routine. Of course, there are only so many hours in the day, so you need to devise a plan. Getting your strategy up and running is easy to do with the right instruction. Don is one of the best to show you how. He offers a class at www.theschoolofinternetmarketing.com where he takes you step by step through the process of creating a profile and utilizing it in the best way possible for your business. James Martell is the author, speaker and host of the affiliate marketing podcast Affiliate Buzz on WebmasterRadio FM. He loves to travel and commonly jokes that all he needs is a white sandy beach, crystal clear blue water, thatched hut, hammock, and a desk with an internet connection. James lives with his wife Arlene, four children, and grandchild in White Rock, BC. He uses www.openwebsitetutorials.com as well as many other sites for research when coming up with topics for his podcasts and articles.